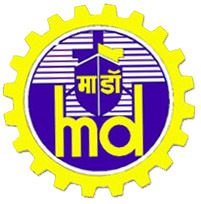 Mazagon Dock limited (MDL) has issued Notification of Recruitment towards various posts in Skilled, Semi skilled and Special grade category of workers . There are 1835 posts. All Eligible And Interested Candidates are requested to Apply Offline On Or Before June 27, 2014. Experience: One year Work experience in the relevant trade/function in a Shipbuilding industry is desirable. Semi Skilled Gr-III (IDA-4A): BP Rs.7250/- - Rs.7323/- IDA, HRA, Transport Subsidy, CPF, Gratuity etc. Semi Skilled Gr-I(IDA-2) :BP Rs.6000/-- Rs.6060/- +IDA, HRA, Transport Subsidy, CPF, Gratuity etc.